MacElree Harvey, Ltd. is pleased to announce that Louis N. Teti has been selected as Honorary Chair of the 3rd Annual Paoli Hospital Auxiliary’s Fine Art Show. Opening the weekend of October 6, the 2-day show will feature the work of Jan Wier and original art expression of 50 local and regional artists. Attendees throughout the weekend will have the opportunity to purchase the art displayed. A percentage of art sales will help fulfill the auxiliary’s annual pledge to Paoli Hospital. 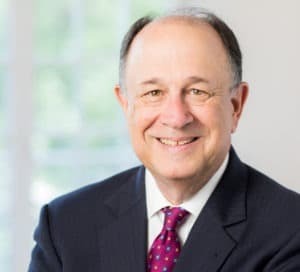 “I am excited and honored to accept the role of Honorary Chair to support the auxiliary and their mission,” said Lou Teti, Chair of MacElree Harvey’s Estates & Trusts Practice. Mr. Teti has been practicing law and serving the community for over 40 years. At MacElree Harvey, Mr. Teti concentrates his practice on estate planning, charitable gift planning, and tax planning. For more information about the Fine Art Show or to purchase tickets, call 484.565.1380, email [email protected] or visit paoliauxiliary.org/fineartshow. Founded in 1880, MacElree Harvey is a full-service law firm with offices in West Chester, Kennett Square, Bala Cynwyd, Doylestown and Centreville, DE. In addition to its broad-based litigation practices, the firm represents clients in corporate law, mergers & acquisitions, labor and employment, real estate, banking & finance, bankruptcy, family law, estate planning, tax law, personal injury and criminal defense. « How Will Child Support Be Determined?